Aleksandra Krunic fought back from the brink for a second day running before lifting her maiden tour-level title with a battling 6-7(0), 7-5, 6-1 win over Kirsten Flipkens. Belgian Elise Mertens and Kiki Bertens, of Netherlands, kicked off their Wimbledon preparations with victories in the first round of the Libema Open while defending champion Anna Kontaveit fell to a shock defeat at Hertogenbosch on Tuesday. 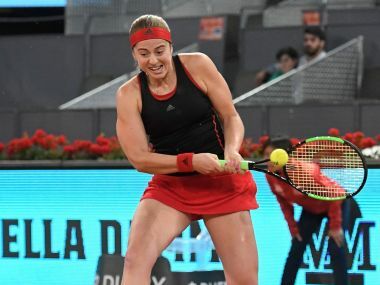 French Open champion Jelena Ostapenko was beaten 6-3, 6-3 by unseeded Romanian Irina-Camelia Begu in the first round of the Madrid Open on Saturday. 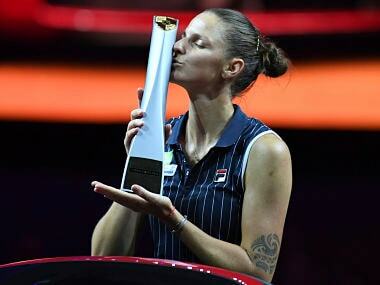 Karolina Pliskova beat CoCo Vandeweghe to earn the second clay trophy of her career after Prague three years ago. 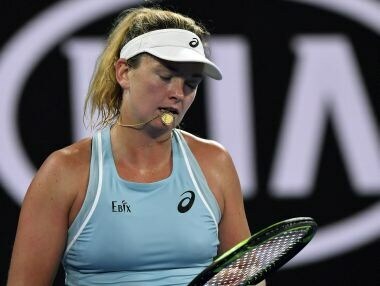 Vandeweghe stands 3-2 in her head-to-head series with Pliskova, but is still bruised by her loss to the slender Czech in the German city 12 months ago. Top seed Simona Halep, a semi-finalist last year at the Stuttgart Open, battled to a 4-6, 6-2, 6-3 second round win over Magdalena Rybarikova. 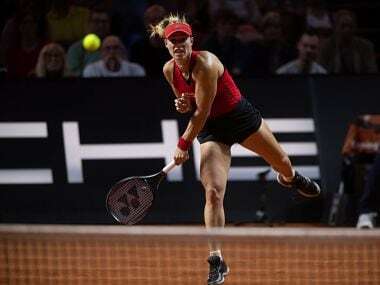 The pair had faced off last Sunday at the same Porsche arena venue in a Fed Cup semi-final tie won by the visitors, with Kvitova defeating Kerber. 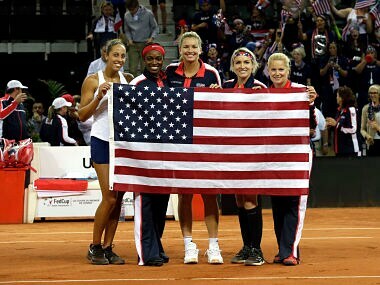 Madison Keys saw off France's Pauline Parmentier to fire the United States into the Fed Cup final where the Czech Republic lie in wait for the defending champions. Petra Kvitova powered past German number one Julia Goerges 6-3, 6-2 before Karolina Pliskova produced a sublime display to record a 7-5, 6-3 victory over Angelique Kerber.